Messiah Anglican Church, Germantown, Philadelphia. Welcome! serving together in Germantown and greater Philadelphia. We have found that God’s love for us is more than a duty to him. Jesus likes people. He calls us by name and wants to spend time with us! We’re here to make spaces where the people Jesus likes—people like you—can encounter more about Jesus and the good life he offers. As we spend time with God together, God’s love heals our hurts, untangles our relationships, and restores our lives—making us free to enjoy life. Join us Sunday mornings at 10:30 for a service of Holy Eucharist. We gather to encounter Jesus and to be spiritually fed by him. Kids are welcome. Here’s what to expect. Children are an important part of the church. They worship with us, though kids ages 3–12 also have a space to encounter God at their own pace during Sunday worship. Learn more. ​Nursery care is not currently provided, but space is set aside in the fellowship hall for parents who would like to use it, and the service can be heard there. After service on Sunday, join us in the fellowship hall to share food, stories, and conversation. Experience more of the story! Please join us for Holy Week and Easter as we commemorate what Jesus has done for us. Visitors are very welcome! + Christ our Passover is sacrificed for us. + Therefore, let us keep the feast! You are welcome to visit! We want to hear your stories and see how God is already working in your lives. 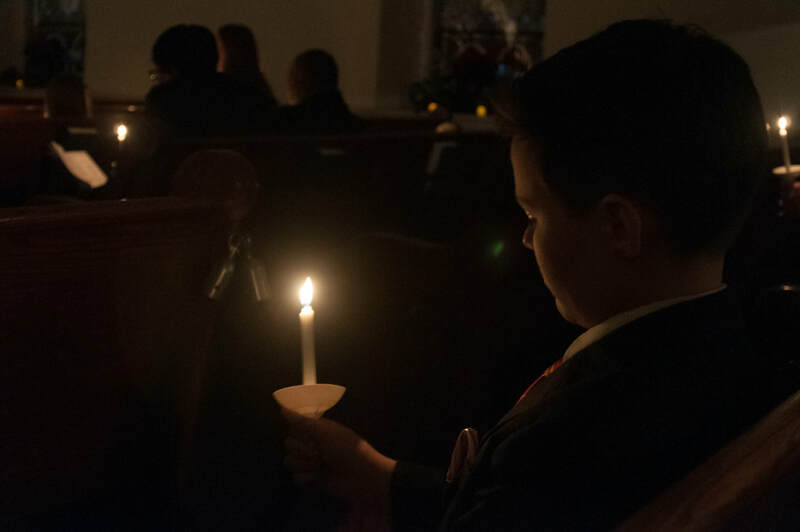 We held our first service in Germantown on November 4, 2018. As we replant our church in Germantown, we are in a season of listening to God and our neighbors. The ways we serve and fellowship together will begin to grow from this time.